Nestled on the small island on the Le Rhone river, the Tour-de-l'Ile is one of the oldest structures in the city. The Tour-de-l'Ile is a magnificent bell tower, that was part a castle built in 1219. The château was used to keep prisoners as well as were the grounds for execution of the outlaws. The château has crumbled to nothingness, but the tower stands tall, till date. 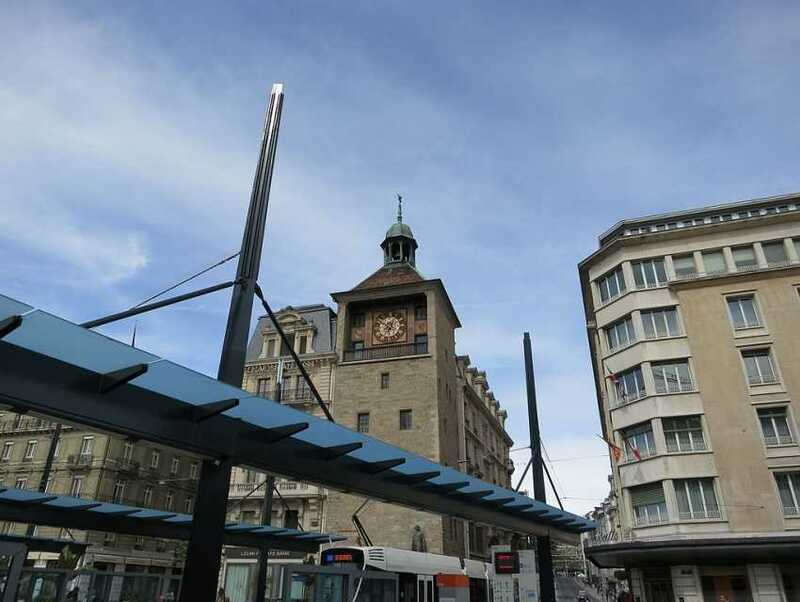 It features a clock on the wall facing old town Geneva.